In Eclipse, select File > Export. In Android Studio, close any projects currently open. You should see the Welcome to Android Studio window. Locate the project you exported from Eclipse, expand it, select the build.gradle file and click OK.
do the eclipse step where you export to generate the gradle build file stop importing your project for now and create a new one. close android studio. navigate on your file system to the new project. 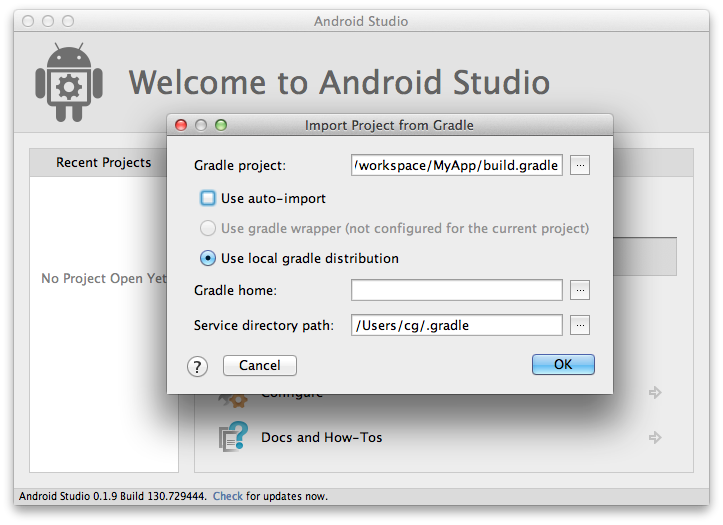 take the "gradle" folder in there and copy it in to your project.